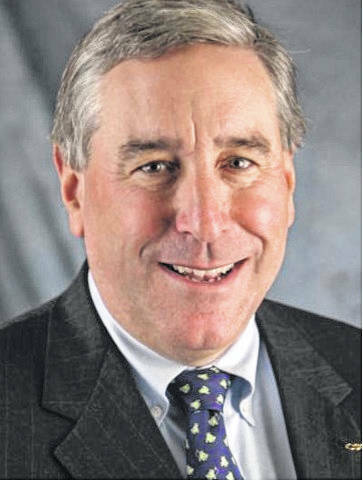 Distinguished economist and former Dean of the Maxine Goodman Levin College of Urban Affairs at Cleveland State University and now a professor at The Ohio State University Glenn College and the Department of City and Regional Planning, Edward “Ned” Hill says Portsmouth certainly has a few problems. But although he’s never been here, he also sees some positives and some serious hope for the future. At the invitation of Portsmouth City Councilman Sean Dunne, who is also a professor of sociology at Shawnee state University, Hill will give a special lecture 7 p.m. Wednesday in the Flohr Lecture Hall, Clark Memorial Library at SSU. “Hill provides a series of observations from his economic and community development practice and research that can be thought of as rules or guidelines on how a community can prepare for its future. Some are common sense, others are tough, but all are pragmatic,” Dunne wrote in an email. He obviously believes some of Hill’s observations are dead on regarding Portsmouth. “Smaller historic communities have to map their own road forward, recognize their own anchors, and not expect a company or person from the outside to change their economic destiny for them,” Dunne added. For his part, Hill said Portsmouth definitely cannot look to some outside entity to swoop in and be its savior. He talked a lot about fostering a positive and forward-looking sense of community. He had some good things to say about the recent Plant Portsmouth event, which drew some 1,400 volunteers to downtown Portsmouth to set a world’s record but probably more importantly to clean, paint and so on. Hill was impressed by the number of volunteers. “Reshaping the future” might include reshaping Portsmouth’s waterfront, in Hill’s opinion. He talked about Portsmouth and other similar cities needing to take far more advantage of their location on the banks of the Ohio River. On another front, Hill lamented the fact there is no major gas pipeline running to this immediate area. While he reiterated Portsmouth cannot expect some outside hero to swoop in, the city must be prepared if someone does reach out. Touching on still another front, Hill said Portsmouth is in the somewhat unique position to have a special relationship with nearby communities in other states. He contends such relationships can be extremely beneficial to both parties but often are nonexistent or strained. Speaking of other states, Hill was very complementary regarding an award-winning revitalization plan put together by the city of Huntington, W. Va. Hill said the city was definitely moving in the right direction before it got as he put it, slammed, by the scourge of opiate addiction. On its municipal website, Huntington officials state on April 19, 2017, their city claimed the title of “America’s Best Community” after being named the $3 million grand prize winner in the America’s Best Communities competition, a community revitalization campaign sponsored by several national corporate sponsors. The city undertook three major revitalization efforts in three neighborhoods of Huntington. Somewhat closer to home, Hill held up the cities of Wooster and Findlay, Ohio, as great examples of older cities making comebacks. He especially seemed to like Wooster’s efforts. He specifically did not suggest Portsmouth copy but Huntington, Wooster or what any other city has done. “It’s not so much about copying as finding, what are the bones of what they did,” Hill said, adding Portsmouth needs to find what is unique about the city and capitalize on that asset. The population cannot be cynical about its city but needs to be positive about the area’s future, he concluded.